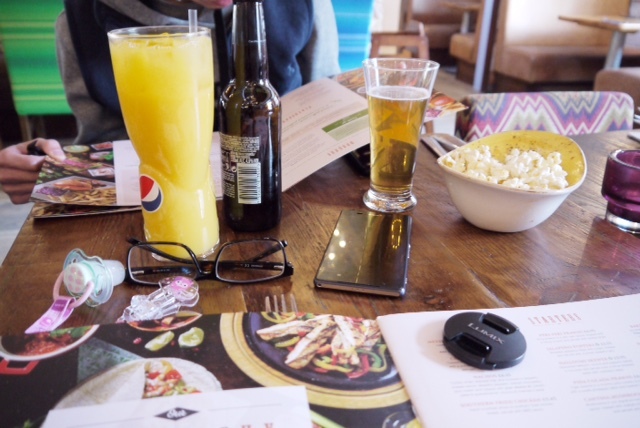 Few weeks back we all headed to *Chiquito's for early dinner by early dinner it was really early...we arrived for around 4.30pm. This is the only time we can really eat out for dinner for now anyway until the little one is a little older. 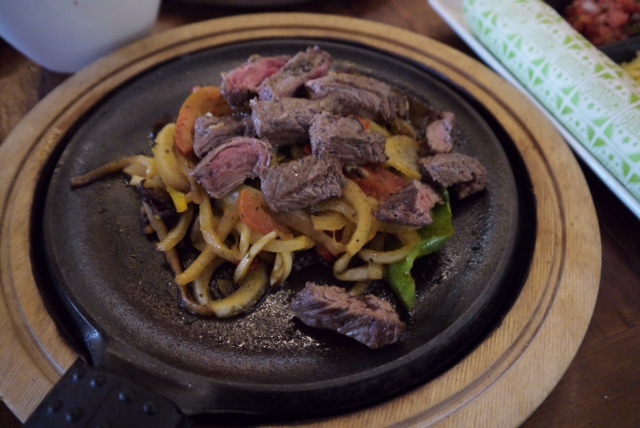 You may have read when we visited Steak Of The Art / Neighbourhood Southampton / The Stable we went around the same time and it worked really well for us because the restaurant is usually dead quiet at this time and the other people that are usually dining at this time also have young kids. 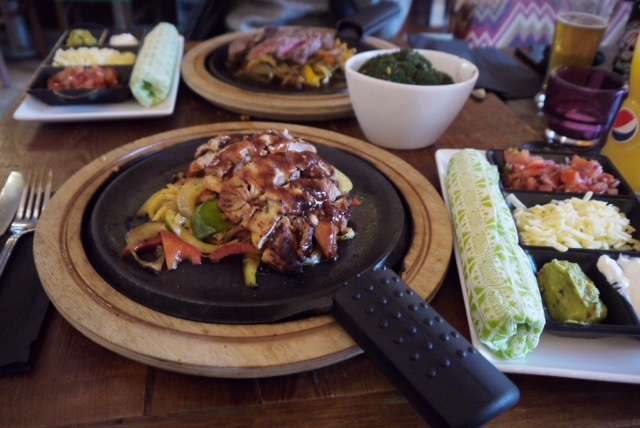 It's been a while since we went to our local Chiquito but I am sure you have all heard of them before as they are all over UK especially if you are a student they offer a whooping 25% off. We were seated quickly on arrival and ordered our drinks while we looked through the menu. It was one of those days where you are hungry and you want to order everything! Anyway we both ended up ordering the classic Fajita's and shared a Peri Peri Prawns starter. Peri Peri Prawns - king prawns in a peri peri sauce topped with a citrus crunch and served with tortilla chips. This was a tad too spicy for me but it's one of those dishes that made you want to eat more because of the spicy kick. 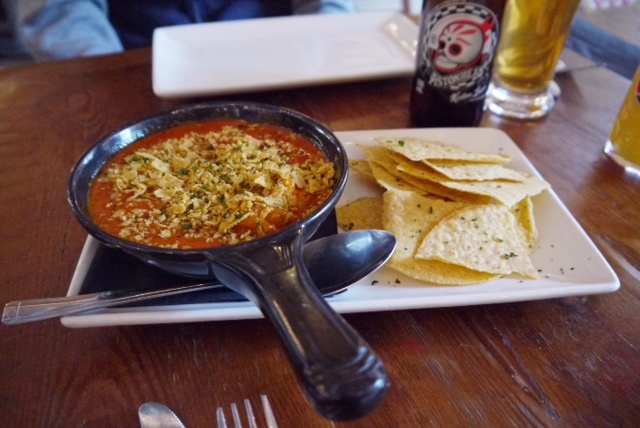 It was a nice starter for us to share and the portion was just right with the tortilla's dipping it into the sauce. Chicken & Pulled Pork marinated fresh chicken breast topped with slow cooked pulled pork, melted cheese and BBQ sauce. 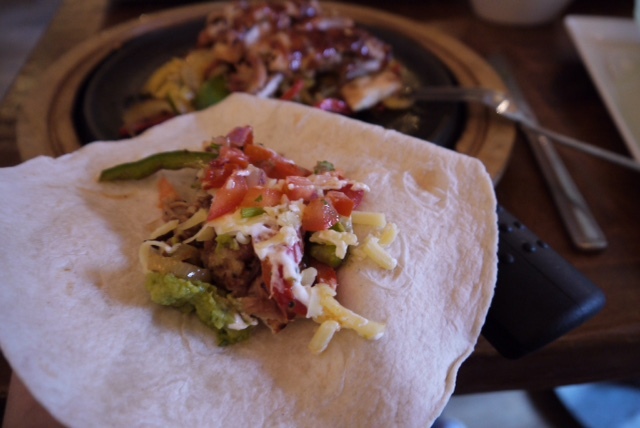 I love a good pulled pork so this was the perfect option for me it came sizzling with peppers, onions and warm soft tortillas and sour cream, grated cheese and guacamole and some salsa. I love a warm tortilla but the annoying thing was the first 2 are always warm but the ones after are cold. If only they were served in some kind of steamer thing to keep them nice and warm. 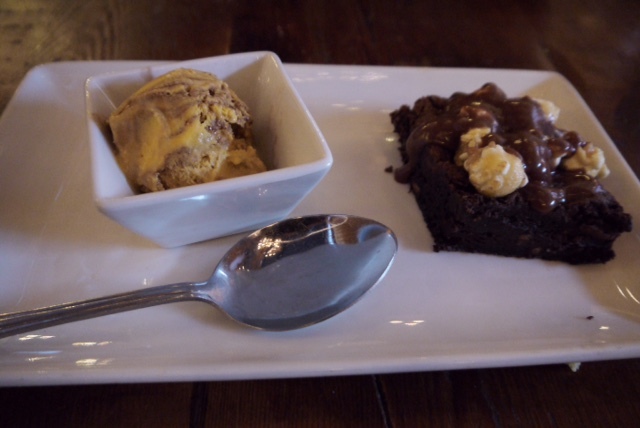 I finished off with a delicious warm brownie absolutely delicious! 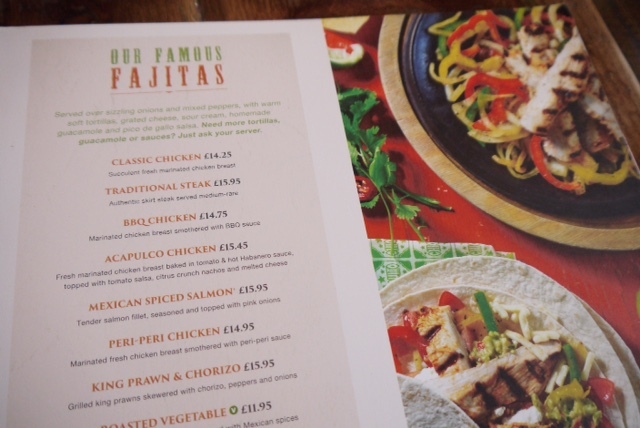 Chiquito is a great option when dining with a group so you can order a bit of everything and share. 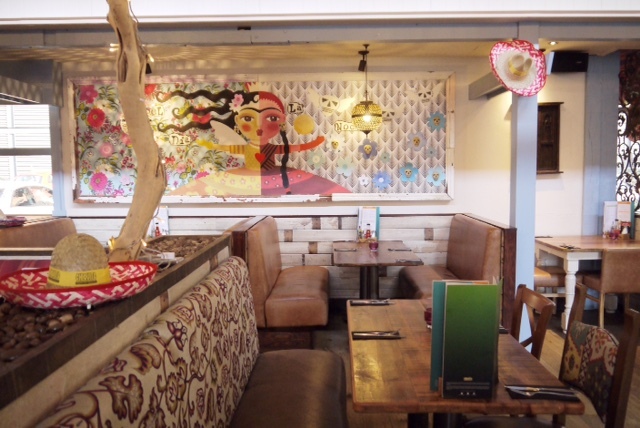 We had a lovely meal and they are child friendly which is a bonus as I had to feed the little one half way through and the staff were very helpful. 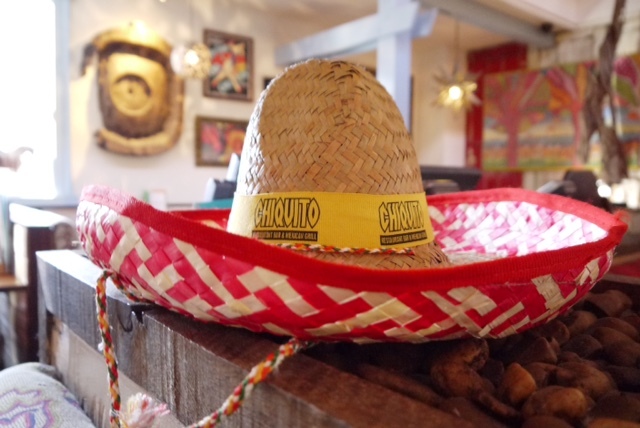 You can find your nearest Chiquito here.